Skincare, Skincare, Skincare. 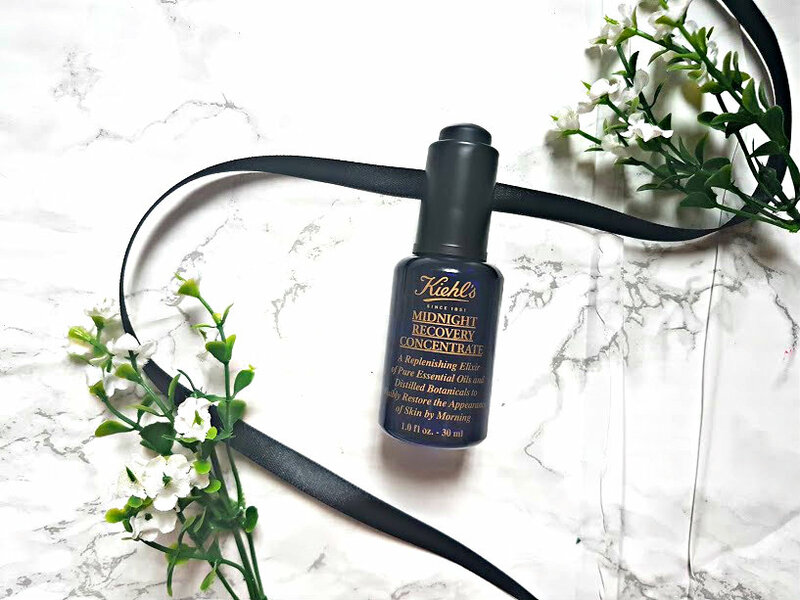 To me its become the most imporatnt thing to do and stick to, having a routine makes such a difference and if there is one product that has literally worked miracles its the Kiehl's Midnight Recovery Concentrate. Everyone and their next door neighbour talks about this product and for someone who's got skin that is an absoutle mess it was one thing that I always wanted to try. The MRC retails for a very hefty £37 which I was not prepared to spend at all, however the Yours With Love gift set which retails at £44.50 includes a full size of the oil along with other Kiehl's products to try before you buy. I prefered spending a little more and getting more for my money than just buying one product. 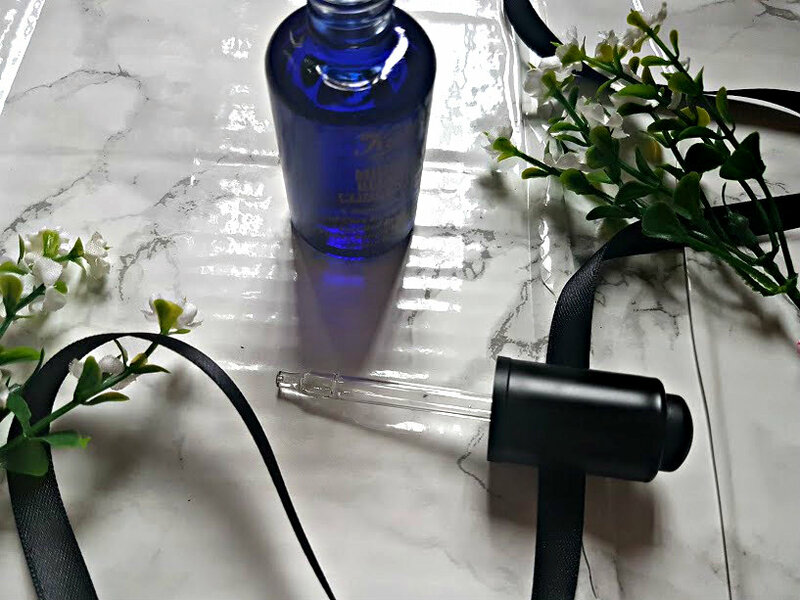 When it arrived, I was so excited about taking my makeup off and putting this miracle oil to the test. The packaging is simply stunning, it sits on top of my acrylic draws because of its gorgeous blue colour. I love how Kiehl's have fuss free packaging, there's no need for fancy things when its the product that matters more than anything. The deep blue is engraved with gold writing and has a pippette to disperse the product. For the first two weeks of recievening the oil, I used 2-3 drops every night. Applied it to freshly cleasned skin with my fingertips and pressed it in gently. The first thing that hits you is the smell, its a blend of evening primrose oil, lavender oil and squalane which a lipid that restores the mositure balance in the skin. Don't let the smell put you off, it goes away after about 10 seconds of applying and the oil itself sinks straight into the skin. For me and my dry skin, I follow the oil by a light helping of Cetaphil moisturising. For 2 weeks straight, sticking to the same routine has changed my skin. Its not dull, the acne scarring has been clearing up and my breakouts are not coming back to attack me at all. Its LIFE CHANGING. I now use the oil every other day in conjuction with a few other products that I've been using to clear my skin up, all of which are coming up in a post very soon. Every glowing review you hear about the MRC is true, its changed my skin so much and I can't believe that I didn't fall for it earlier. I also change what I said earlier, I would pay full price for a bottle of this oil, Its bloody amazing.